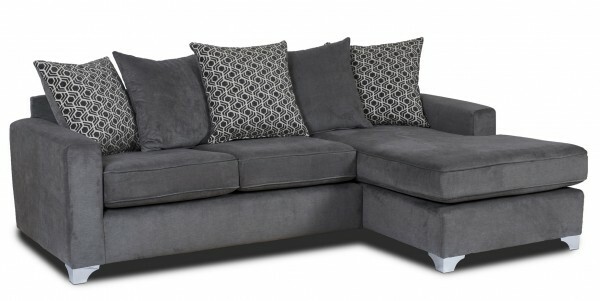 This 3-Seater chaise Alexis sofa has been designed in a dark grey fabric with a scatter back for style and comfort. You can relax in style with this beautifully crafted chaise. The Alexis collection also offers the 3-seater sofa, 2-seater sofa and the corner sofa. Pay weekly, live stylishly.